We'll Make Your Property Look Like New Again! Keep Your Business Looking Its Best! We Keep Your Gutters Flowing! Image is important for any business. Refresh your business’s appearance quickly and safely with our state-of-the-art cleaning. Buildings exteriors, storefronts, parking lots, walkways, other concrete, signs, awnings, and more— you name it, we clean it. Enhance your home's curb appeal with help from our skilled crew. From washing your driveways and unclogging your gutters to moss removal from rooftops, we handle all the necessary maintenance to leave your home's exterior looking beautiful and new. Your gutters help prevent structural and aesthetic damage to your building by diverting water flow. When they are clogged with leaves and debris, they can’t do their job property--not to mention the water may back up into your walls. Hire our team to clean out your gutters today and keep your property safe. As a full-service cleaning company, we clean every aspect of your property's exterior. Our experienced crew does the dirty work so that you don't have to. Give us a call today to schedule washing for your home or business. Welcome your guests, clients, or customers with a property cleaned by the professionals at All Exterior Services. We offer residential and commercial cleaning throughout the Portland Metro Area. From cleaning concrete to unclogging gutters, we provide all the routine maintenance your exterior needs. At our local pressure washing company, we care about our customers and take pride in our work. 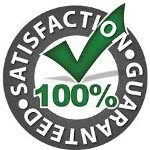 Our commitment to you is reflected in our 100% customer satisfaction guarantee. You don't pay for the work we do until you are completely satisfied. It's just that simple. Talk to our technicians to learn more about our guarantee and what to expect from our cleaning services. Contact us in the Portland Metro Area, for more information concerning our effective and affordable commercial & residential cleaning services. Is your property for sale? Make it shine with one of our affordable curb appeal package deals. We’ll clean your exterior from top to bottom so it stands out to potential buyers. Call us today for more information on our washing and gutter cleaning package deals or to get a free, no obligation in-home estimate. Pressure wash services aren’t just for concrete and vinyl siding. We also offer “soft washing,” an effective but gentle method that works well for all types of surfaces--even wood. Our various methods allow us to safely clean every surface around your property’s exterior, including patios, decks, and roofs. Contact us for more information on our exterior maintenance services. We proudly serve residential and commercial clients throughout the Portland Metro area in Oregon.